At our practice, orthodontic treatment is more than just straightening teeth. We combine your unique goals and concerns with our objective of treatment excellence and beautiful smiles. Dr. Nuckles and Dr. Van Allen have years of experience using the most effective treatment options, including traditional metal or clear braces, expanders and Invisalign® for both teen and adults. When you visit our Westwood office, you’ll receive one-on-one, personalized attention from our friendly staff, ensuring you are comfortable with your treatment plan. We welcome patients of all ages to have a positive orthodontic experience and a beautiful smile! 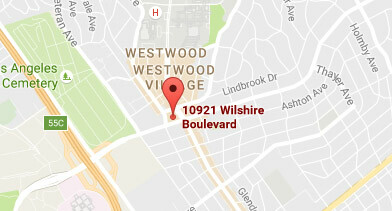 Contact our Westwood office to schedule a complimentary consultation today! Consider Invisalign treatment to get the beautiful straight teeth you've always wanted — without braces. A complimentary consultation with our doctors can determine if Invisalign clear aligners are right for you. You want to improve the look of your smile, but does the thought of spending years in braces seem out of reach? With AcceleDent Aura, you can now speed your tooth movement by up to 50%! The iTero scanner digitally captures the structure of the teeth and gums using the latest optical technology. Using an iTero scanner, your orthodontist can take a highly accurate digital impression of your teeth and jaw.